Email authentication is a set of methods that enable an email to be verified before it arrives in the receiver’s inbox. It certifies that the email is really from where it’s claiming it to be. Emails that do not pass the validation are either rejected or marked as spam. Email authentication works by having the holder of a domain give a file of legitimate mail sources. If an incoming message pretends to come from a domain but is not listed in the authentic mail sources, the ISP can block the message. Why is it important for email marketers to know about email authentication? Consumers who purchase products promoted through email pay 138% more than those that do not get email offers. This means that email marketing is a key player in one’s business. But then, the email marketer’s efforts in creating valuable emails are useless if they will never reach their destination. That is why an email marketer must be knowledgeable about the protocols of email authentication to make sure the email campaign of a company will be successful. Eighty to ninety percent of emails across the web are spam. The prevalence of spam made service providers aggressive in filtering messages which can cause an authentic email to be labeled as spam. An email marketer must know the standards in email authentication to avoid spam false-positives and rejection. Below are three of email authentication standards explained in detail. ActiveTrail supports SPF and Domain keys standards for email authentication. We maintain relationships with all major ISPs to ensure unbeatable email deliverability rates. To do this, our advanced system performs extensive testing, automatically made on each individual campaign. 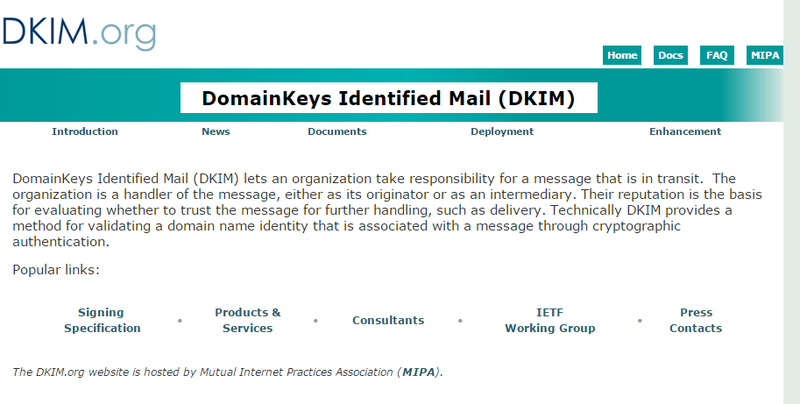 DomainKeys Identified Mail (DKIM) is a DNS-based method intended to detect if a message is forged. It uses cryptographic text to check an email’s authenticity. Email originators create a hash, and then they encrypt it on the header alone or on the whole message using a concealed key. The hashing procedure translates readable characters into a unique textual sequence. The public key matching the private counterpart is published on a particular subdomain used in the encryption. Because only authorized domain owner can publish DNS verification for the subdomain, this links the public key with the holder of the domain. When an ISP gets a DKIM-signed email, it receives the DNS public key. The server then uses the public key to decode the signature incorporated in the message. After this, the mail server calculates the hash of the incoming email having identical algorithm as the email originator. If the calculated hash fits the coded signature, then the message is verified. If not, it will be declined or sent to spam folder. 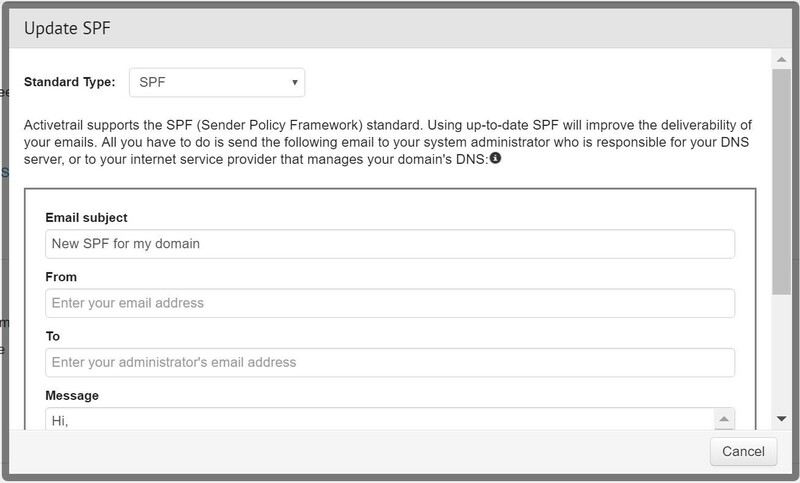 Sender Policy Framework (SPF) is another DNS-based email verification protocol. The system allows companies to identify which IP addresses are permitted to send emails on the account of the domain. SPF authenticates emails using mail from and return-path also called “envelope-from”. For messages to be authenticated, the “envelope-from” domain should fit the “from” until the second level. Using the wrong address for the “envelope-from” is a frequent error which leads to failure of SPF verification. The domain in the decipherable “From” address will not be utilized for SPF if it does not pair with the “envelope-from”. SPF does not apply to subdomains. 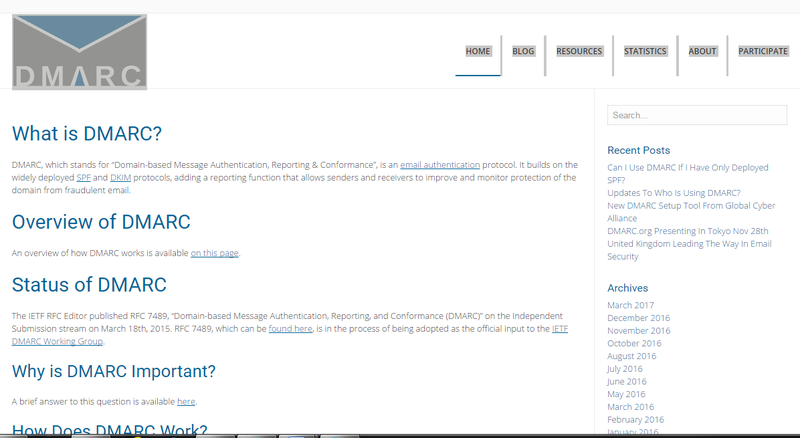 Domain-Based Message Authentication, Reporting, and Conformance (DMARC) is an email authentication protocol built from SPF and DKIM. Sending domains use this protocol to prevent fake emails. 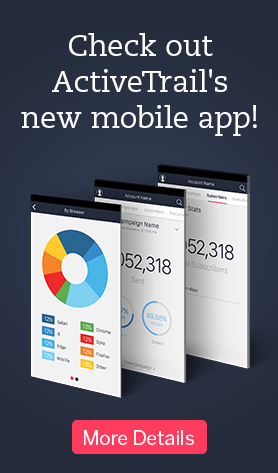 It has added features which include reporting, policy description, and identity configuration. ISP’s and receivers are using email authentication to protect email users from unwanted and unsafe messages. However, even authentic messages are also being filtered sometimes. That’s why email marketers should study the system for them to do the necessary measures to make sure that most, if not all, of the messages, are received by subscribers. ActiveTrail takes email authentication seriously, to ensure the delivery of your email campaigns. We support mailing standards currently accepted in the industry, such as DKIM, SPF and Domain keys to make sure we will be identified as your mailing platform, guaranteeing that your emails reach the inbox instead of getting dumped in the spam folder. Want to learn how to create an effective newsletter? Click here.